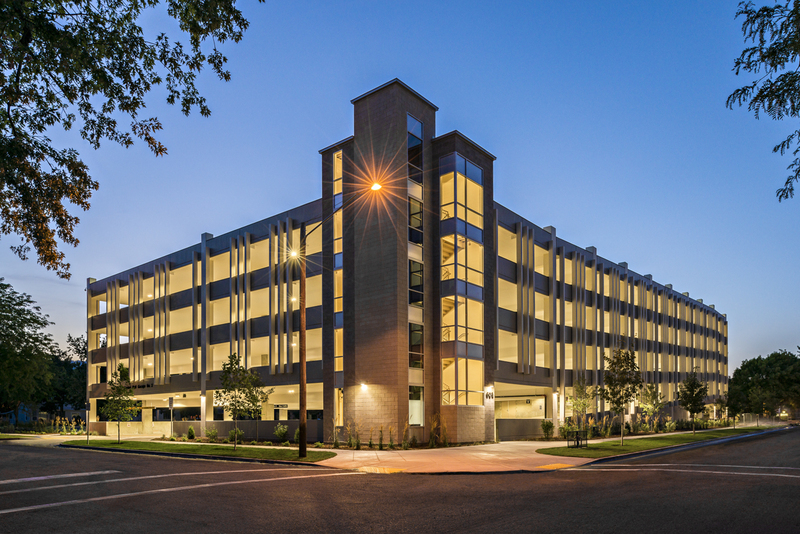 As a design build project, Axiom worked collaboratively with the State, Design team and Contractor on this 4-story, post-tensioned concrete structure. This site houses a geothermal well that could not be relocated. The final design incorporated a CMU well house within the garage footprint with a vehicle count of 580.